We know as afterschool leaders that young people love to express themselves through the arts. Further, we know that integrating arts into learning promotes young people's motivation and engagement and aligns well to the LIA learning principles. However, a new study issued by the National Endowment for the Arts revealed that fewer American children are getting access to arts education. "What's especially alarming is that the overall decline is only part of the story: The drop is apparently most severe for African-Americans and Hispanics," wrote Erik Robelen in Education Week's Curriculum Matters blog. 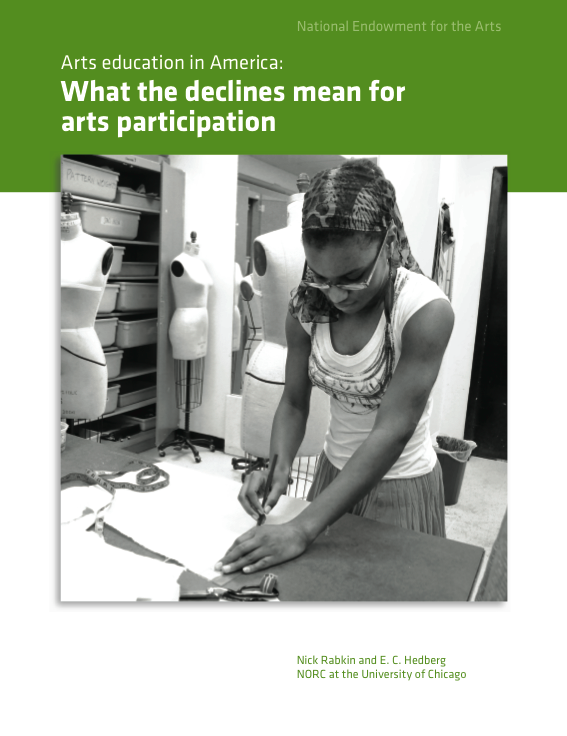 According to the study, Arts Education in America: What the Declines Mean for Arts Participation, "The decline of childhood arts education among white children is relatively insignificant, while the declines for African American and Hispanic children are quite substantial - 49 percent for African American and 40 percent for Hispanic children." What does this study say about our responsibility to make time in afterschool programs for arts education? To view the February 28th blog post by Erik Robelen on this study, click here. To access the full study, Arts Education in America, click here. There is a growing interest in increasing young people's exposure to science - particularly since much of the hands-on science time has been eliminated from our public schools. 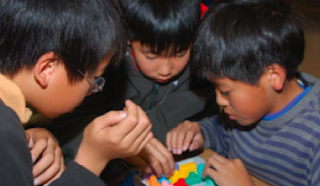 Afterschool programs that offer project-based science activities are well aligned with the LIA learning principles. 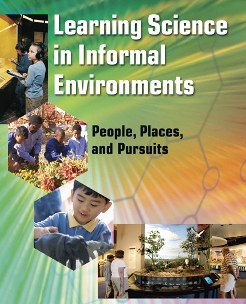 Learning Science in Informal Environments, authored and published by the National Academy of Sciences, "draws together disparate literatures, synthesizes the state of knowledge, and articulates a common framework for the next generation of research on learning science in informal environments across a life span. Contributors include recognized experts in a range of disciplines--research and evaluation, exhibit designers, program developers, and educators. 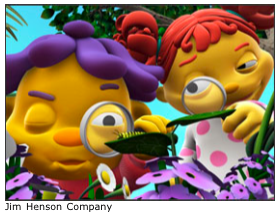 They also have experience in a range of settings--museums, after-school programs, science and technology centers, media enterprises, aquariums, zoos, state parks, and botanical gardens." We believe that Learning Science in Informal Environments is an invaluable guide for afterschool program leaders, community-based organizations, and those interested in promoting K-12 science education. For an executive summary of this text and a peek at the full table of contents, click here. "Out-of-school time (OST) programs that focus on girls’ involvement in STEM can play an essential role in improving female representation in these traditionally male-dominated fields. OST programs offer girls a non-threatening and non-academic environment for hands-on learning that is collaborative, informal, and personal. However, barriers to quality implementation and outcome-based evaluation present challenges for STEM programs serving girls." (STEM Out-of-School Time Programs for Girls, Harvard Family Research Project, 2011) To view this Research Update, highlighting findings from the evaluations and research studies in the OST Database that focus on STEM programs for girls, click here. For a recent article on the role of science learning outside of school, published in Education Week (April 4, 2011) click here. One of the objectives of the Learning in Afterschool project is to raise awareness of the importance of afterschool to young people's learning - awareness of the general public, of decision makers, and of program leaders who are charged with designing afterschool experiences. The California Afterschool Alliance has created a valuable factsheet entitled "California's Afterschool Programs Increase Learning," which can be downloaded by clicking here. This factsheet cites the Learning in Afterschool website as a resource for those who wish to promote learning as a key asset in afterschool. It is one of a suite of messaging materials that are available by going to http://www.ca3advocacy.org/ and clicking on "factsheets."